David Dickinson has a passion for stories, writing and cars. 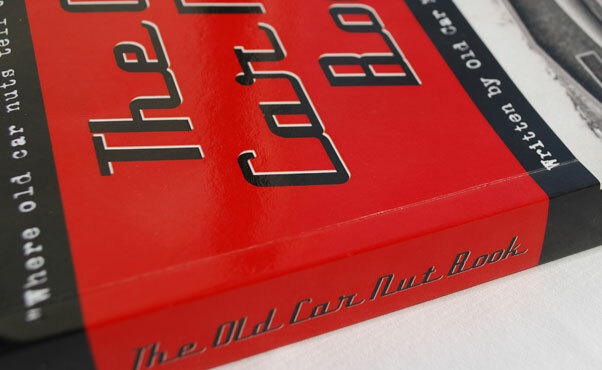 The perfect combination to start writing car books… and not just any car book… Car Nut Books. In the summer of 2013, I read on the internet about David’s plans to combine a selection of wonderful car related stories. He wrote that he had always been fascinated by the great stories he heard while at car shows across the country. Which led to his plan to start collecting these stories and publish them in a book. Starting with some stories from friends and locals, he used the internet to find other interesting people wanting to tell him their stories. I contacted David to ask about his plans and at the time he was compiling the material to create the Old Car Nut Book. David told me a little bit about his plans with the book and how overwhelming he was with the huge amount of great car related stories, and that the way it looked there most likely would be more books after the one he was working on now. The cover shows a photo of the late Bob Biehler and his 1948 Chevrolet. I received my copy of the Old Car Nut Book shortly before Christmas, and spend some great time with it in my spare time during the holidays. The really great things about David’s book is that most of the stories are relatively short. Which makes it easy to pick up the book and read another story while you have to wait for 10 or so minutes. The photos in this review are taken from my personal copy, and as you can tell it looks well worn. I took the book everywhere if I thought I would have to spend some time waiting. It was really perfect for that. 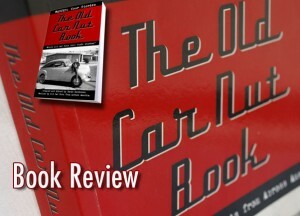 I love automotive stories, and the stories that David combined in this book are very diverse which makes the book interesting for basically everybody who likes cars. In his book announcements David announced; as you read the stories, I’ll guarantees that “you’ll laugh and you’ll cry”. Well David sure was right about that. The stories in this book really take you back in time with the story teller and you relive his moments, good, bad, funny, or sad. Fortunately the laugh sections in the book are much more prominent that the cry sections. For me as an European guy it was really nice to read about the old days in the US, and how people bought their first car with money saved by doing small jobs where they were teen agers. Or how families were involved buying a new cars. 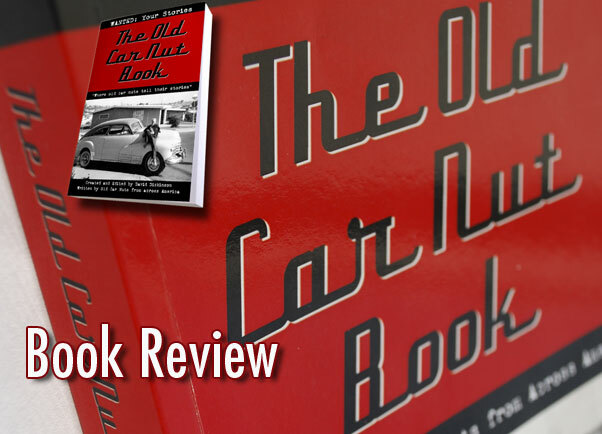 For readers in the US there will be a lot of stories that will remind them about their own past, and for all non US readers the Old Car Cut Books gives yet another insight of how the car influenced so many lives. I really enjoyed reading this book, and highly recommend to it anybody wanting to read more about the old and not so old car related stories. My only down point about the book is the small size of the black and white photos inside. I’m a picture man, so I like to see a nice visual to go with the words I’m reading. But this is only personal, and it would not even stop me, from buying the next book David plans to create based on the same concept. The fact that this book is made up of so many individual short stories makes it really fun to read. Even for those people who normally do not read all that much. 80 photos (small) inside, 4 color photos on the back cover. 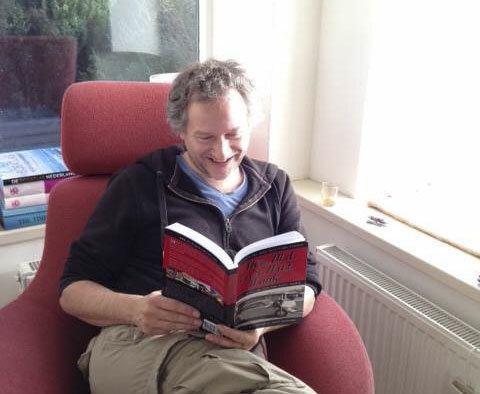 My wife secretly took this snapshot while I was having fun reading the book. 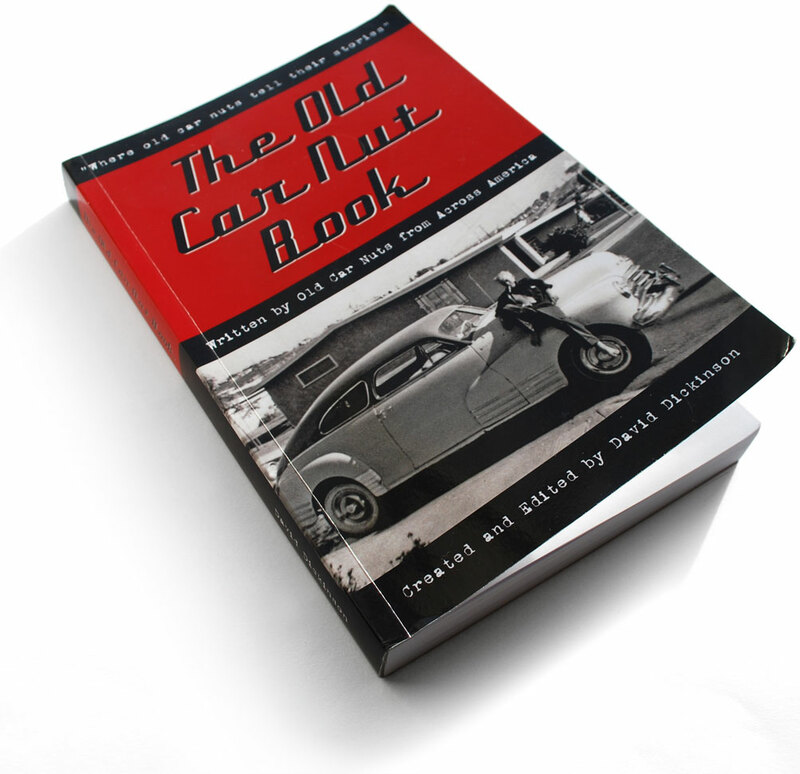 The Old Car Nut Book is David Dickinson’s way of sharing the dream with other Old Car Nuts. He is also reaching out to younger car nuts, who are beginning their journeys, hoping to fulfill their dreams. 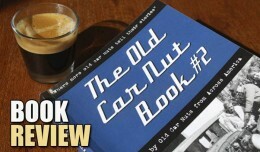 He is planning to release 3-4 volumes of The Old Car Nut Book. If you visit his website, you can see “How To Submit” your own story for a future book or order the book. The website has Amazon links to buy the book anywhere in the world. 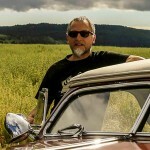 With the great success of The Old Car Nut Book # 1 and the huge amount of stories he received on his first quest, David has several plans for more books. Road Trip stories A century of travel across America. Unlike the first books, length of story will be unrestricted. 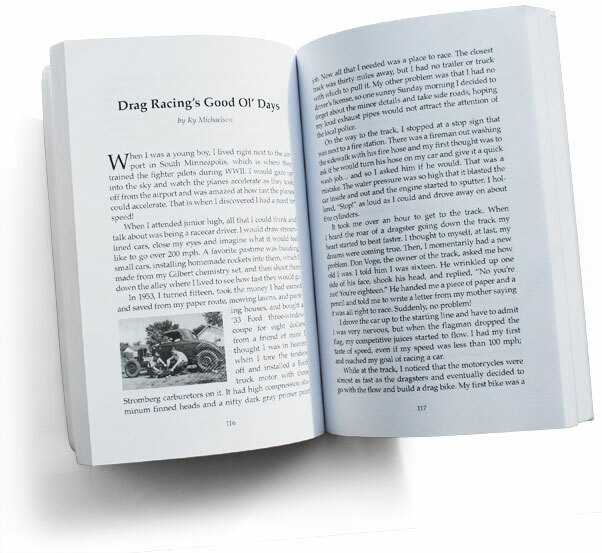 Racing stories All types of racing stories from people that like to go fast. Hall of Famers The people that are recognized by a Hall of Fame or are the icons in their local community.